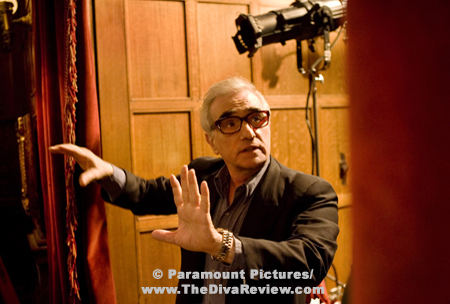 Like his friend and peer, Francis Ford Coppola, director Martin Scorsese seems to be undergoing a creative rebirth as he heads into his 70th year. 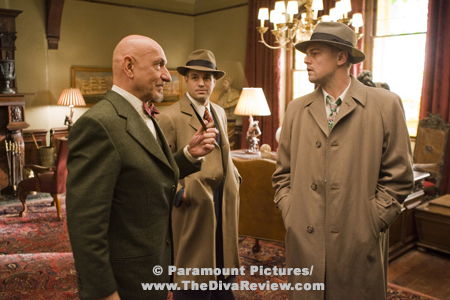 The energy and ingenuity present in his latest venture, Shutter Island, is more like that of an audacious college film student than the Oscar-winning veteran architect of some of the cornerstones of American cinema. Strange doings abound in the middle of Boston Harbor where a highly fortified insane asylum is targeted for investigation by a pair of fedora-wearing, trenchcoat-clad gumshoes. The federal marshals have come to search for a missing patient inside this secluded sanctuary for the most dangerous of the criminally disturbed. 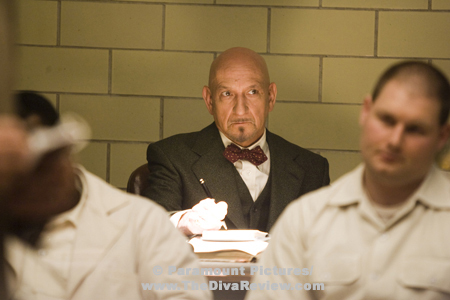 Teddy Daniels and his new partner, Chuck Aule immediately chafe at their authority being subverted by the higher-ranking rules of the asylum and the various roadblocks the ingenuous-seeming doctors and staff have in place to keep them from their search. Where is the missing patient? What is everyone on this island trying to hide? What are the whispered-about experiments that take place in the island’s mysterious lighthouse? With the determination and sense of righteousness that helped the former soldier liberate the concentration camp at Dachau during World War Two, Teddy has every intention of finding out, if only his own memories and ghosts of the past would let him get on with it. From the opaque gray sea and sky and insistently discordant music that comprise the start of the film, the byword for what we are about to see is ominous. The marshals’ first walk across the hospital grounds shows us patients who would seem utterly benign if not for the manacles around their legs or arms, or the tell-tale slit across the throat of one hollow-eyed inmate that matches the smile she gives Teddy. Things only get more disturbing from there and it’s hammered over our heads that there’s something very wrong here. Everyone associated with the hospital, from the guards to the doctors are cheerfully creepy; all of them patronising and pretending to accommodate while always keeping one hand behind their backs. 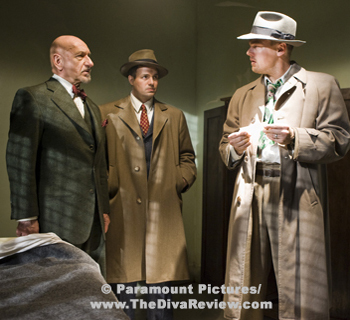 The subterfuge is so uniform that it makes the entire island suspect and the marshals can trust no one. 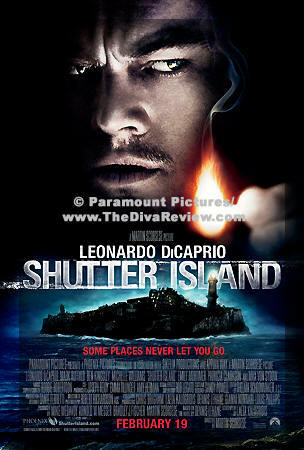 As expected, fine performances abound in Shutter Island. Leonardo DiCaprio’s decidedly unpretty beefier looks compliment the idealistic federal marshal and war vet. His Bahston accent varies from sounding like a refugee from a Bowery Boys set to completely nonexistent, but that fades away in the intensity he brings to his deceptively complex character. Some of the best moments amongst many hail from a trio of fine actors; Max Von Sydow is compelling as a psychiatrist who makes an on-the-fly attempt to shrink Teddy’s head in an era when “you need therapy” were fightin’ words. Patricia Clarkson’s desperate woman who might know too much all but steals the film in a matter of minutes, and Jackie Earle Haley continues his amazing run of embodying creepy enigmas that would crumble played by lesser hands. Also notable are Emily Mortimer in her small scene as the woman the marshal might be looking for and Michelle Williams as Teddy’s departed wife. Williams is a homespun Lana Turner, who isn’t content to simply exist in her man’s highly realistic and volatile dreams, she alternately appears out of thin air to lure him, like a siren, to happiness or destruction. 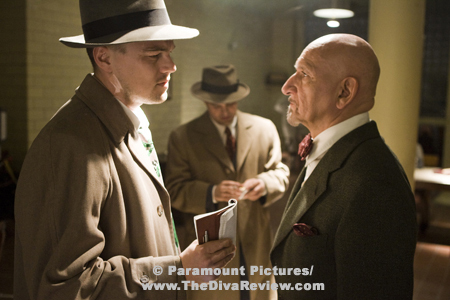 Shutter Island is part fever-dream and part surrealist art mixed with a good potboiler. Like a Mickey Spillane pulp novel directed by William Wellman and photographed by Salvador Dali. A truly chilling cleverly-woven psychological thriller that keeps one pondering the twists even after they’ve been explained. So many homages to the films Scorsese must’ve loved are here; DiCaprio’s fuller face and dogged squint recall James Cagney in 1935’s G Men. 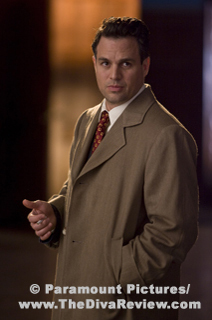 The off-hand one-liners delivered by Mark Ruffalo as DiCaprio’s partner are sharp as any pre-code quickie. One can see Alfred Hitchcock’s influence not only in much of the camera movement and use of the natural scenery, but in the delivery of the film’s big twist. 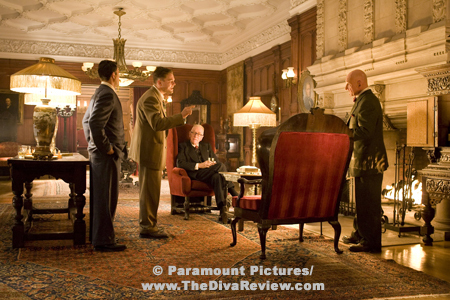 Scorsese’s fine use of cinematography, score and editing to beguile and perplex works on many levels, even to the point of questioning the proficiency of the director himself; yet when it all unspools, there’s never a false or cheated feeling to the revelations. 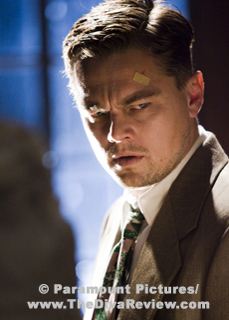 Shutter Island is a trip; a desperately creepy mystery that gets under the skin and stays there long after you’ve left the theatre. It’s a Byzantine plunge down the rabbit hole that leaves both its characters and its audience questioning the very meaning of reality.